From a Senate Foreign Relations Committee hearing on the Keystone XL pipeline in March 2014. More quotes and commentary at National Wildlife Federation. 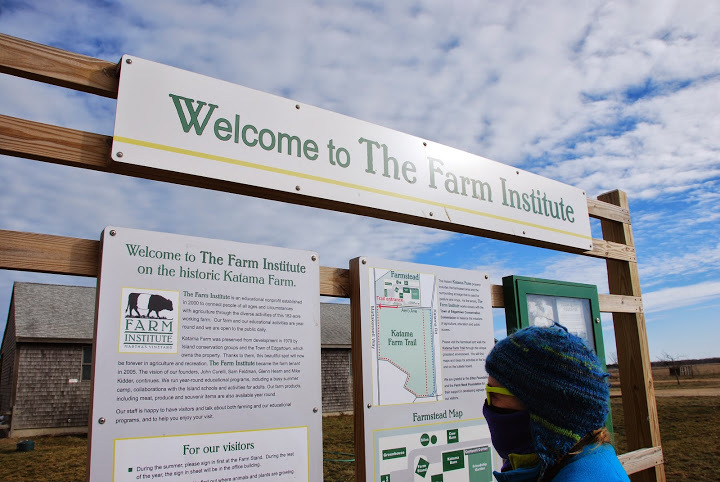 For our third Winter Walk of the season we made a visit to Katama Farm, home of the FARM Institute. A small gathering of about 25 guests joined Jon Previant and Sundy Smith of the FARM Institute along with our own Brendan O'Neill for a tour of the new interpretive hiking trail that opened last year. Sundy and Jon shared their knowledge of current farm operations and Brendan presented the complicated land-use and conservation history of this unique piece of Vineyard farmland. See more photos here. A once-a-year chance to visit the Brickyard on the North Shore. Walk the brickwork ruins with staff from The Trustees of Reservations and learn about a once-prosperous industry. Light to moderate hiking conditions with a brook crossing. The walk is $10 for the public (children $3, members are free) and about two hours. Preregistration is required, call (508) 693-7662 or email. The MV Community Seed Library hosts an event for gardeners to share seeds and learn about seed saving and germination testing. Free, more at WT Library. Saturday, Jan 31, 5:00 to 6:30 pm, Edgartown. Join Felix Neck for the Big Moon Owl Prowl, featuring a full-moon-lit walk and other educational activities. $5, free for members. For more info, call (508) 627-4850. Join Land Bank staff for a 1-2 hour tour of this small preserve in Aquinnah overlooking Squibnocket Pond and the Atlantic. More at MVLB website, for directions call the office at (508) 627-7141. Preheat oven to 450 degrees F. Set a wire rack into a small baking dish. Wrap each oyster with a slice of bacon, and secure with a toothpick. Sprinkle with salt, pepper, paprika, and parsley; set onto wire rack. Bake in the preheated oven until the bacon is crispy, 10 to 12 minutes. Serve immediately. Did you recognize this recipe? Time was running short, so we dug deep into the Almanac Archive for a holiday re-run! 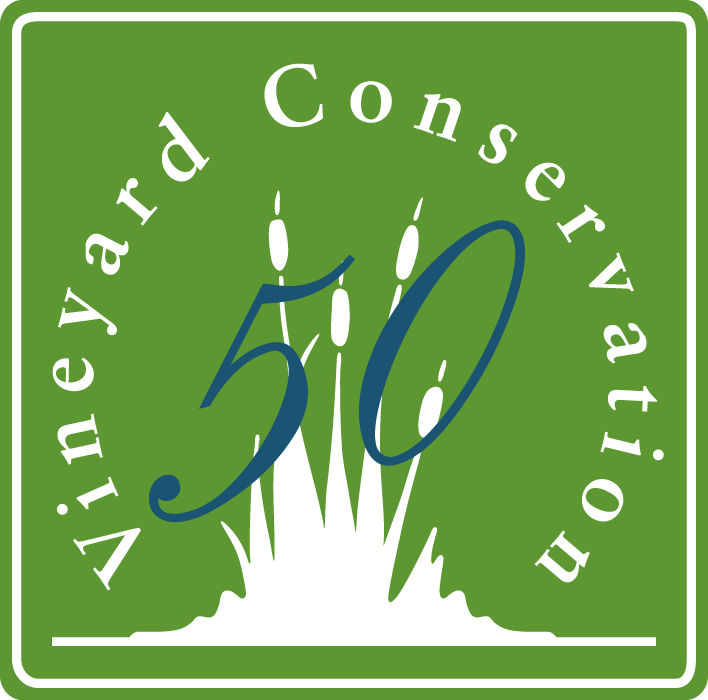 Since 1965, the Vineyard Conservation Society has been dedicated to preserving the environment of Martha’s Vineyard for future generations. In practice, that has meant fifty years of protecting land through purchases and conservation restrictions (and legal defense of those gains, see below), working to preserve family farms, fighting inappropriate development proposals, and advocating for recycling, energy conservation, water quality and many other issues. Because VCS wouldn't have made it fifty years without the support of our wonderful Island community, it's only fitting that the community be as involved as possible in our 50th birthday celebration – so mark your calendars for these upcoming events! August 5: The VCS Birthday party, featuring "Fresh Paint"
Please join us for this very special 50th Birthday event, a combined fundraiser and art auction featuring works from many Island artists. Environmental legal defense is a necessary part of the Vineyard Conservation Society’s mission. Protecting gains already made – land, but also the rare habitats, populations, and species the land supports – can be financially costly, and as was recently demonstrated, comes with no guarantee of success every step of the way. Last week, a three-judge panel of the state Court of Appeals voted 2-1 in favor of parties claiming easement access across conservation lands to adjacent land-locked parcels near Moshup Trail in Aquinnah. If the ruling stands, it could usher in a wave of development that would seriously harm a crucial habitat supporting many threatened species and unique ecological communities. However, based on the strongly-worded dissent in the split decision, which actively encouraged appeal, we anticipate that the case will move on to the Supreme Judicial Court. Further, based on the strength of reasoning in the dissent, our track record to date in this case (we have won previous decisions), and the merit of our position, we are optimistic about the outcome. Please read more about the history of legal defense at Moshup at the VCS website. Could Keystone XL be America’s last pipeline? That’s the headline of an interesting piece in Politico this week. In a nutshell, the argument goes that the fight against Keystone has so galvanized the environmental community, and led to politicians taking carbon pollution seriously, that even if (or maybe especially if) it is ultimately approved the battle will have been a net positive. It’s a hopeful thought, but I’d take it more as a silver lining to a big cloud of CO2 than a Pyrrhic victory for big oil. For this to be any kind of net victory for the environment any effect of discouraging other pipelines would have to be much more widespread than what is specifically discussed in the article, which is mostly the difficulties faced by a pair of proposed natural gas pipelines across New England and Virginia. It’s not just the cold weather of the past month informing an opinion that trading approval of Keystone XL for the blocking of a gas pipeline in Massachusetts is a bad deal. The problem is that, in contrast to the complicated case of natural gas, there is no positive environmental aspect of the extraction and burning of material from Alberta’s tar sands (or is it oil sands?). The magnitude of the actual damage caused by the Keystone XL pipeline may be overstated, but our certainty that it is an awful, completely irredeemable project is not. In terms of the environment, it’s a one-sided argument: whatever you call it, extracting and burning Alberta’s bitumen is dirtier and more energy intensive than ordinary crude oil. Increasingly, though, there’s barely an economic case to be made. First, a major State Department analysis has debunked the claim that the pipeline would create jobs; in fact, the thousands of people needed to build the pipeline of course represent only temporary construction jobs. It would actually regularly employ 35-50 people once the oil starts flowing. But today, even the fundamental purpose of the pipeline – providing transportation for an ever-increasing demand for Alberta’s oil – has been undermined. This form of oil production is not only dirtier, but also more expensive than conventional drilling, profitable when oil is $100 a barrel but not so much today.